Let me take you on a boat ride…a picture tour of my recent trip while cruising through Colombia, Panama and Costa Rica. It has been almost a 1 month already since I am back from a wonderful cruise holiday and I am still finding the return to reality and daily routine a torture. Do you ever feel that way once you get back from a vacation? I have yet to tire of looking at the pictures we took and I am thrilled to show you the best ones today. Have you been on a cruise before? This was my first real cruise (I did a weird and tiny one with an adventure company years ago). I just loved the itinerary of my recent cruise: the boat left from Montego Bay, Jamaica and we had stops in: Santa Marta and Cartagena in Colombia, Panama and Costa Rica. 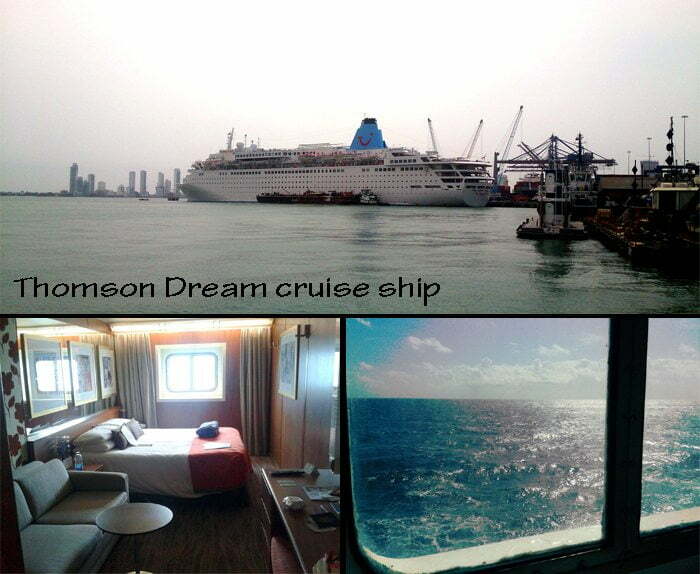 We spent 6 days and 7 night on the Thomson Dream cruise ship. It’s an older boat with a maximum of 1,500 passengers but it was recently renovated. I have to say we loved the smaller size: it felt more like home knowing where everything was and it was lovely to bump into people you had met previously on regular basis. Bigger ships make this difficult. We got a slight upgrade with a lovely outside cabin and a nice sized window. Thankfully we could have the queen separated into 2 twin beds since we were 2 friends traveling. Just love the view from our window on our first day at sea! You may not have heard of Thomson before. It is a British cruise line so about 90% of the passengers on the boat were from the UK, the rest were Canadian and Jamaican. This in itself made it a trip within a trip. Don’t you love the pic of me below in my life jacket during the obligatory muster call? Faking a panic look. And just above is Susan and I in our best for the gala night. I know what your first question will be: how was the food on the ship? Well I knew full well going into this trip that the food would not be the star of the show. Again, it is a British ship! They cater to a slightly older crowd with British classics and keep the palate very bland to accommodate (I guess?) tastes. The food on board was OK: not good, not bad, OK. Above I gave you a couple of shots: the traditional English breakfast and lamb with that neon mint jelly.We made up for this aspect on land with some street food treats. What I do miss terribly is Ferdinand, our sommelier. He LOVED me, kept pinching my cheeks, laughing, filling my glass up partly for free! He knew us by our first names by the 2nd night we had him. Our cabin steward knew us by name at the second meeting. The service level on a cruise ship is incomparable to a hotel or resort. 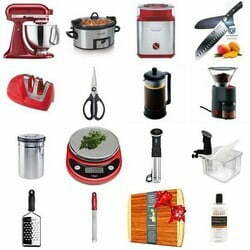 The staff is simply amazing and friendly, chatty, helpful, devoted. Our first port of call was Santa Marta in Colombia. Santa Marta was the first Spanish settlement in Colombia. As far as sightseeing there is not much there but the town is lovely to take a stroll in. Don’t be afraid to leave the main tourist spot and explore a few streets deeper. And look at all those baskets of exotic fruits hanging just waiting to be enjoyed. 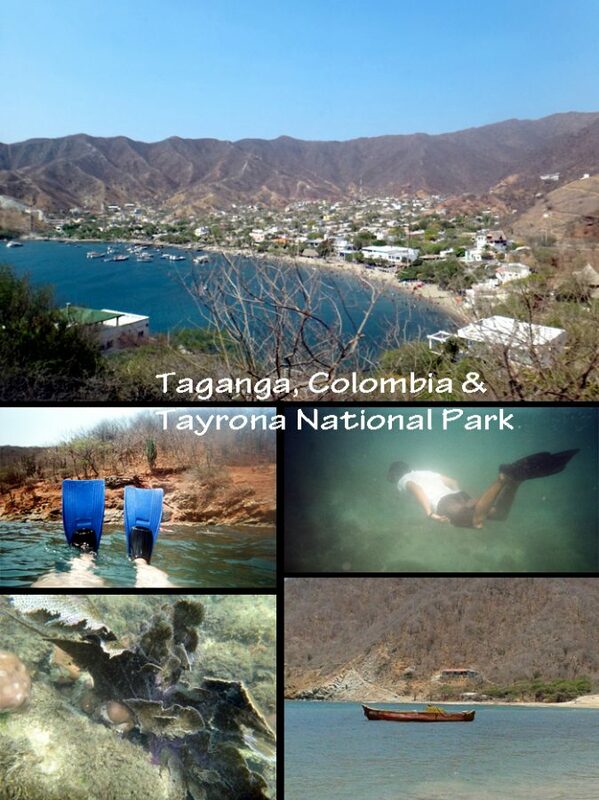 But our main attraction here was our snorkeling excursion in the Tayrona National Park. We traveled to the very quaint fishing village of Taganga (just below) set at the bottom of very arid and spectacular mountains. From here we piled into small motor boats and took a rough rise to an isolated bay where we could explore a coral reef. It was my first time snorkeling and I LOVED IT. I cannot wait to snorkel again. Our deserted beach also had a couple of old fishing boats bleaching in the sun. You should have seen our sunburns the next day though! I really got to mix with ‘the locals’ here too as there were about 6 young guides for this excursion, many of which did not speak English. I had a lot of fun conversing with them in my broken Spanish. They were very warm, friendly, laid back and sociable. 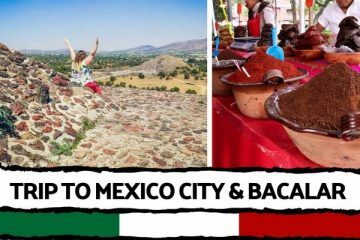 I had the same experience again in Cartagena, our next port of call, where we had booked locally with a private guide, and the few shop owners we encountered outside of the tourist areas. These exchanges made me fall in love with Colombia, it was truly my favorite country on this trip. I did not get to experience that same level of exchange in the other 2 countries we went to. We have a lot of preconceived negative notions about Colombia, and true some part definitely needs to be avoided, but I strongly encourage you to go travel in the safe parts of this beautiful country! And there are plenty of great destinations in Colombia to explore. Surprise! Never know what to pack when getting ready for a trip. 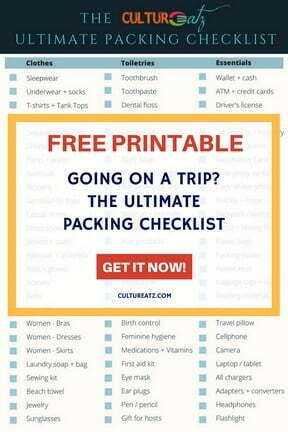 I got you covered with my Ulitmate Packing Checklist. 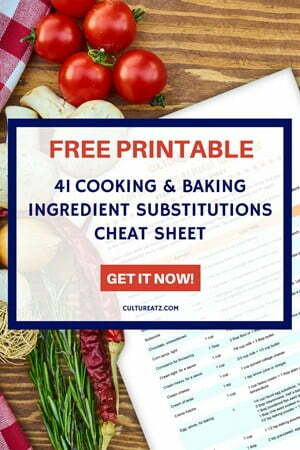 Click here to get your FREE Ulitmate Packing Checklist right now! So next stop below is Cartagena in Colombia. Susan and I booked a private tour with Cartagena Connections. Our amazing guide Juan (having a juice with us below) took us on a fantast5-hourour walking tour. I don’t want to mention prices, but if you go book with them it will cost you a lot less than the tour companies and you get the have a guide all to yourself instead of sharing with 20 other strangers. Cartagena is an absolutely beautiful city and it has a surreal quality. It comes from the strong European influence and architecture, mixed in the tropical touch of South America: bright, colorful, and also worn out but the harsh climate. Cartagena is one of 2 cities I have visited in my life where I truly felt at home … but I wish it was not so warm year round. It is hot and the sun is intense! Juan took us on a walk inside the walled city for those 5 hours. We explored the obligatory big sights of the city but we meandered along streets and alleys the usual visitor would not see, like the little square with a ochre church where we found that dude above in the yellow shirt: street coffee vendor. One of the best cups of coffee I have ever had in my life! Juan said the best time to explore the walled city was at night, alas we had to be back on the ship. But apparently there are great bars, clubs, dance places, parties and great restaurants. Time for a little nature intermission! 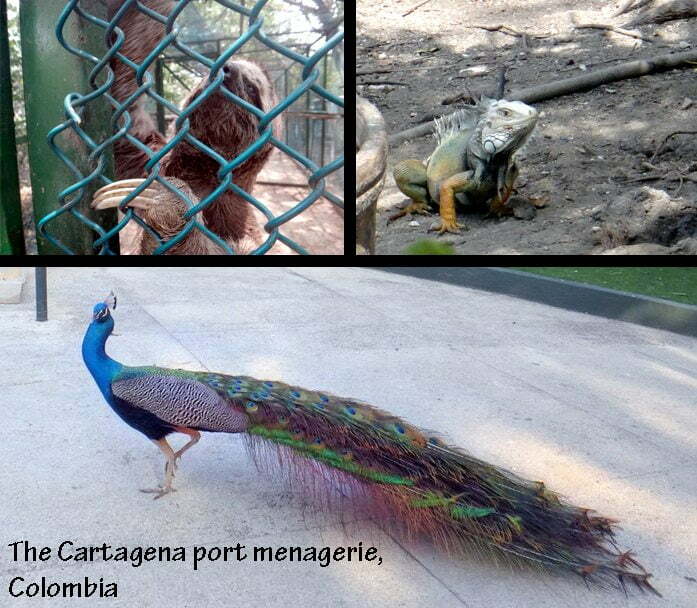 When you leave the port you walk through a a park with exotic animals and birds. Some are caged and some are free. Here you see a 3 toed sloth, and iguana and a peacock. And finally some local street food. 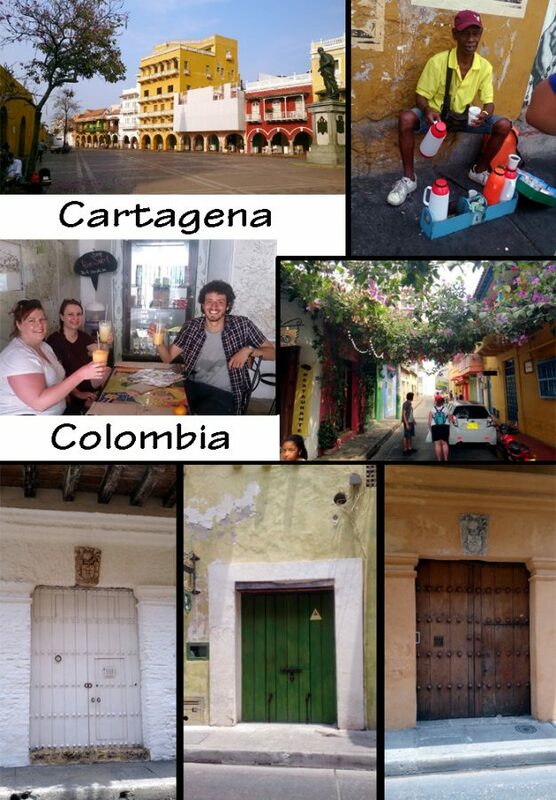 Most of the local food we ate was in Cartagena. Cruise excursions do not leave you time to try lots of local dishes but with Juan we were in business. Since it was the Santa Semana (Easter Week) the selection was minimal yet delicious. Top left we have some cheese filled arepas, next we have empanadas made with a cornmeal exterior (and me all pink with a sun burn). Second row you can buy little bags (like a Mr Freeze) of coconut juice. 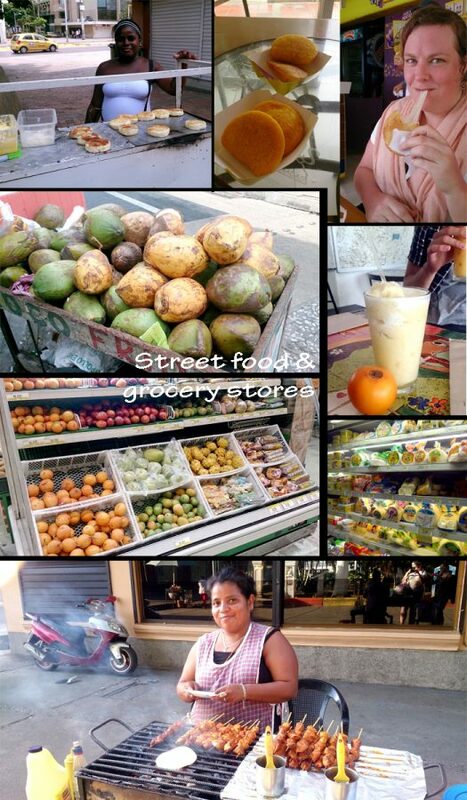 To the right is one of the big things you find in Colombia: fruit juices. I had one made of tomato de arbol (tamarillo) but the one in the pic is from the native lulo fruit. Third row are shots from a local grocery store called Exito (air conditioned thank god) with fruits we would never see at home and other prepared Colombian goods. Guava seems to be a big thing. 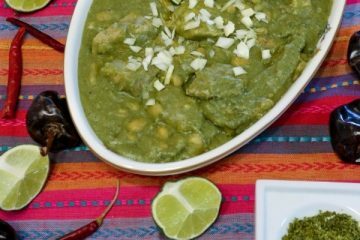 You can buy bags of the paste to cook with or lots of guava candies. Last pic was actually taken in Costa Rica. After 6 days of bland boat food, these moist and spicy flavorful pork skewers were heaven sent! Time for the third port of call: Panama. We arrived in Colon but there is nothing to do there, it is a very dangerous town actually so do not explore it. An excursion is a must. We opted for a tour of metropolitan Panama City. It only takes 1 hour to drive from the Atlantic coast to the Pacific. This is a city I would have loved to explore over 3 days as well. We drove though the modern section (top right pic in the back) and the new skyscraper downtown reminded me of Chicago a lot. 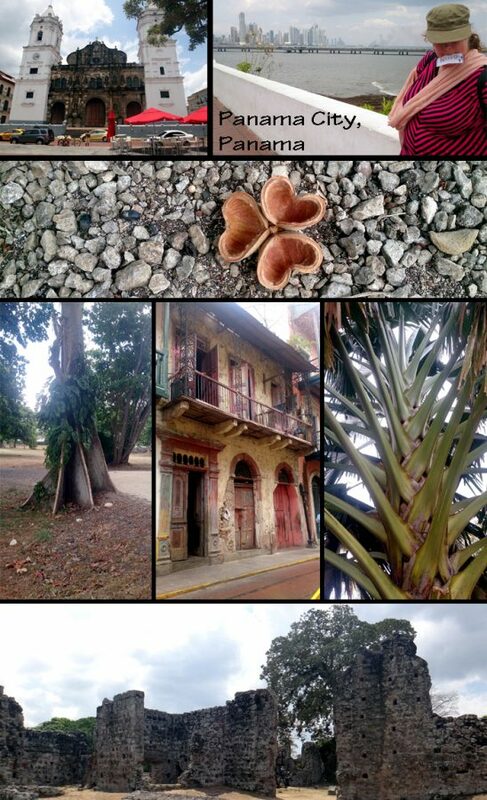 In the city we explored the historic Casco Viejo area were you feel like you are in New Orleans. Flora has taken a lush turn in Panama. The 2nd row is the heart shaped shell of the fruit of the Panama Tree. Tree trunks look surreal too with trunks made of flat panels and massive palm trees that start from the grounds. These trees were located at Panama Viejo, a site that contains the ruins of the original city. We did request a stop at a lock along the Panama Canal on the way back to Colon. It was not really our thing, which is why we did not choose such an excursion, but it was nice to get a glimpse. Time to leave modern civilization and head of to our last port of call, Limon in Costa Rica. We had delays and only got to explore the nice little town of Limon very late when all the ships were closed, kind of sad. But the star excursion here are the rain forests! 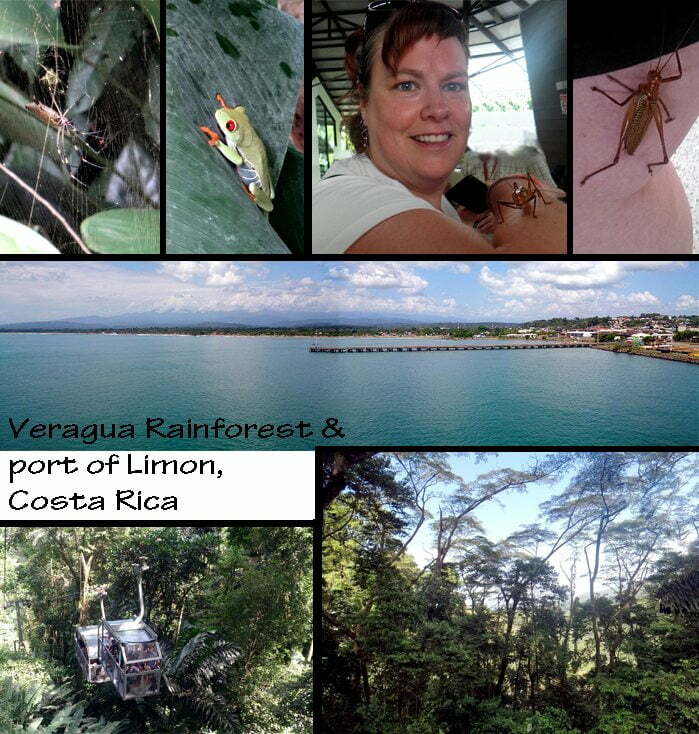 We took a tour to the Veragua Rainforest in particular. I am starting you off with the scary stuff, just to make sure you are still paying attention lol. Rainforest means BIG bugs and fantastic creatures. Alas I did not see any toucans or monkeys but we did see some pretty big spiders! And we saw frogs galore, like this adorable Red-eyed Tree Frog, And a couple of giant sized insects like my new buddy here. Sorta looks like a grasshopper but a tan brown color. He was super friendly. No room to put the pic of the snake we saw too! The best way to explore the rainforest is when you are at the height of the canopy. We opted for the areal tram. I was mortified at the thought of it because I have a fear of hanging in the air (not heights) and I cannot go on a sky lift. But this was a smooth ride and totally comfortable. I am so glad I did it and the scenery was spectacular. The flowers we came across were exotic and breathtaking. The vegetation overall is awe striking and on a large scale. We even saw bananas with the flower on the trees (middle row right). 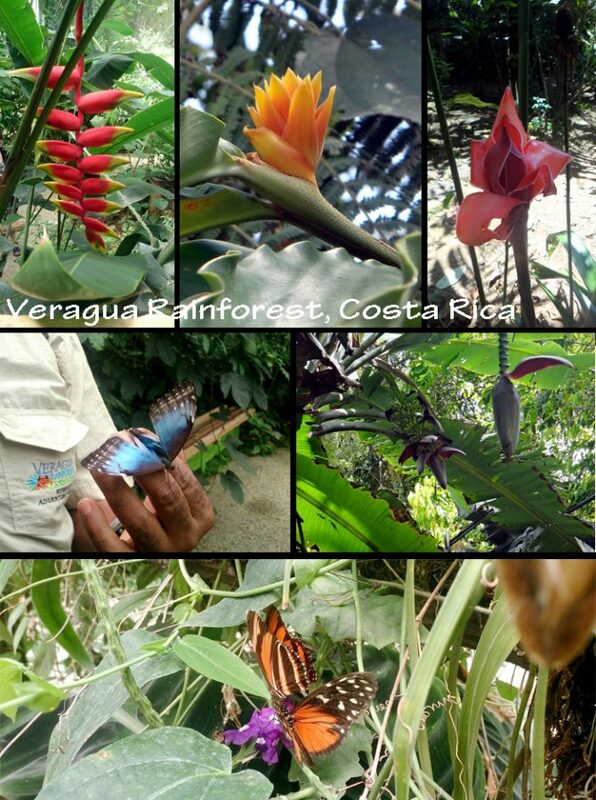 One of my favorite parts too was the open air butterfly sanctuary. I hope you enjoyed this long post with many pictures – a fraction of what we took – and I hope it has inspired you to consider these places as possible future destinations. I had an amazing time and will cherish the memories forever. A quick look at my souvenirs. Mostly food of course. I got a lot of coffee, in all 3 countries. I got a bottle of Tortuga rum in Jamaica and Aguardiente in Colombia, an anise-flavored liqueur derived from sugarcane. 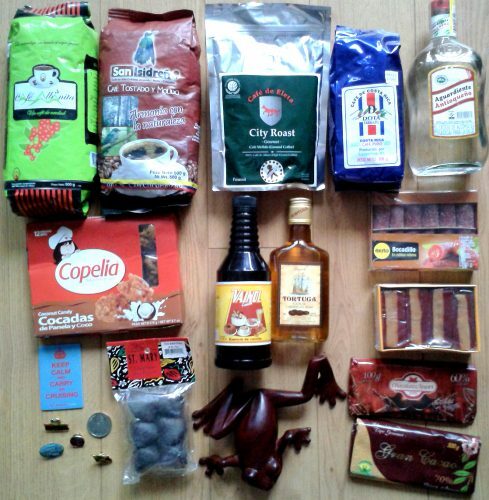 Lots of candies, from guava paste ones to coconut bites and Colombian chocolate. I got a 16 oz bottle of real vanilla extract for 8$ in Limon! And my last food item was from Jamaica: chocolate balls to make a cocoa tea. The frog sculpture is made from the wood of the Cocobolo tree, which I got in Panama City. So, when are we all booking and leaving on a cruise together? wow, what an awesome trip... i wish i got the chance, lucky you my friend!! Wow, what a fantastic trip. Looks like you had great fun and the pics are gorgeous. Thanks for taking us along! 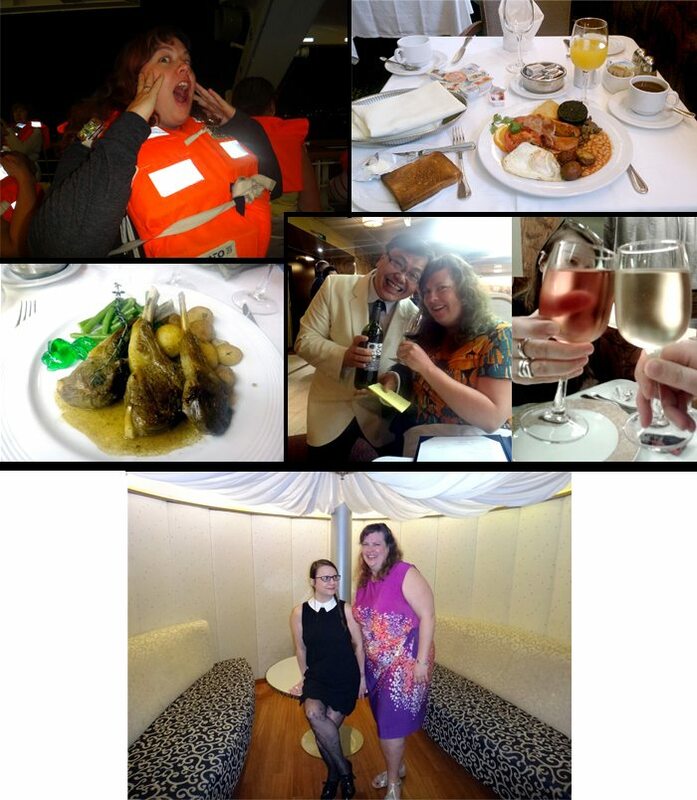 Never have I been on a cruise before in my life and I never really had a desire after hearing horror stories... However, your experience may have changed my mind completely!! Wow, what a cool cruise! I've heard that Columbia is like a hidden gem waiting to be discovered. I would choose this cruise over the typical Caribbean island ones. Totally agree Nancy, the non Caribbean island itinerary had me sold too! This is a refreshing trip that I really need :). Thanks for taking us with you in this virtual trip, and yes it is always hard to get back to routine after such a trip. What a trip you had and so nice to see pics of you Eve! I agree, smaller ships are really nice too. 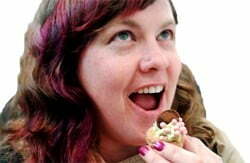 I find the type of food and standard can often depend on the main clientele. I have done a cruise to the Caribbean many years ago and I know exactly how great these trips are. Food is unbelievable and you get to see so many places without carrying a ton of luggage each time. I can see you had a wonderful time! Bonjour and what a great trip...thanks for sharing the fun photo memories Evelyne! I had a cruise set for Panana and due to uncontrollable events at the time, it was cancelled; something I always wish I could do! Glad you had a great time! What an amazing trip! You surely had a great time there, Evelyne. Looks like y'all went now stop! What a great trip and fantastic pictures. Thanks for sharing your fun in the sun! What a wonderful blog post. This is a treasured memory! Thank you Syster, I am so glad you loved it and I cannot wait to go on vacation with you again! Love!